Canadian farmers are being warned to be careful not to lose their most precious weed-control resource. Full story here. 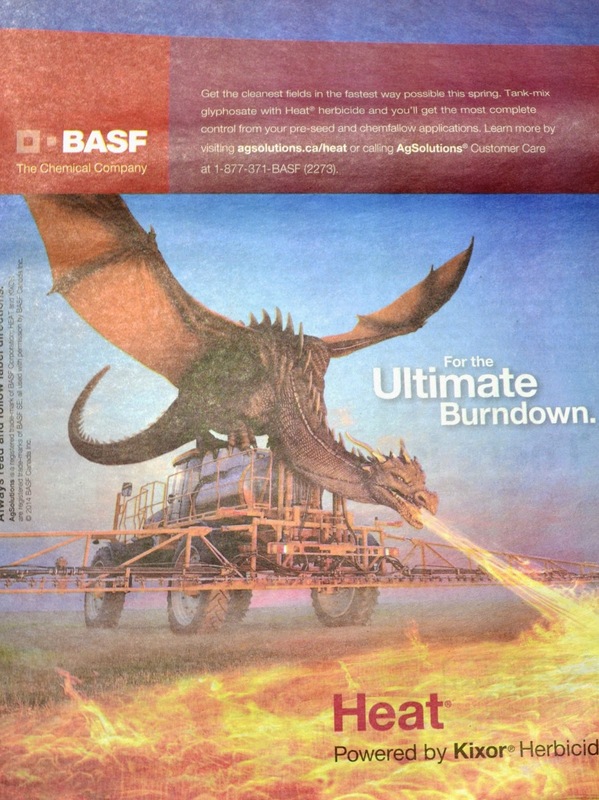 (l.) A newspaper ad showing the "kinder, gentler" side of present day agriculture. (Sarcasm intended.) PLT photo.